I sent this basket as a gift to my Mom who doesn't want or need "stuff". She was very happy to receive this and loved the basket and how it was packaged. My wife and I shop regularly from Lowcountry Olive Oil and we always keep a bottle of the 18 year balsamic on hand. I am also a fan of the fig. These are good products and we like buying from a local business. I recently ordered several Christmas gift baskets from Low Country Olive Oil, and had them shipped as Christmas presents to various destinations in the US. The service I received was wonderful and all recipients received their wonderful gifts in a timely manner. This was a wonderful, functional gift for Christmas, and healthy too! 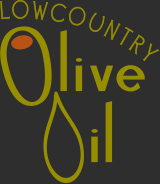 I'll certainly shop again at Low Country Olive Oil! I sent this basket, as a Christmas gift. It was certainly appreciated and well received. This is such a healthy and usable gift. It was beautifully packaged too!